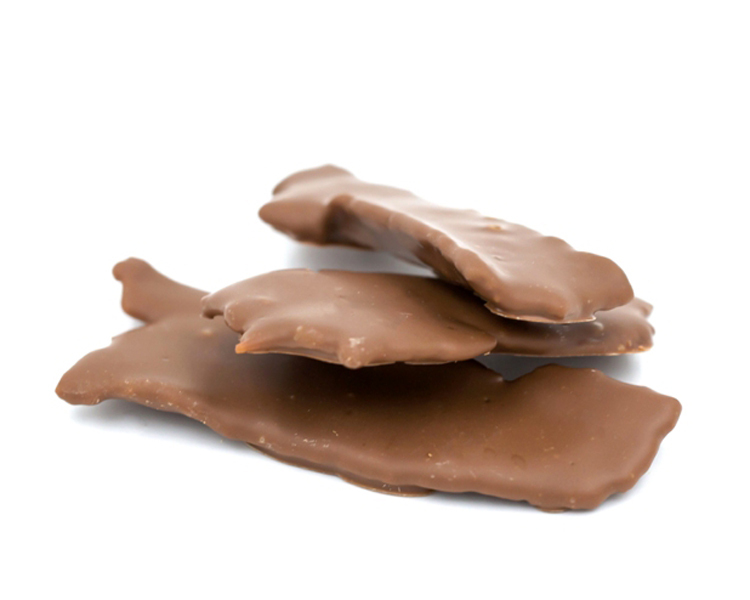 Milk Chocolate Bacon - 4 oz. Everything's better with chocolate, even bacon! Salty, crispy, crunchy bacon slathered with savory milk chocolate. What a combination! Packaged in quarter pound bags with approximately 13 small strips.